Crunches🚫. 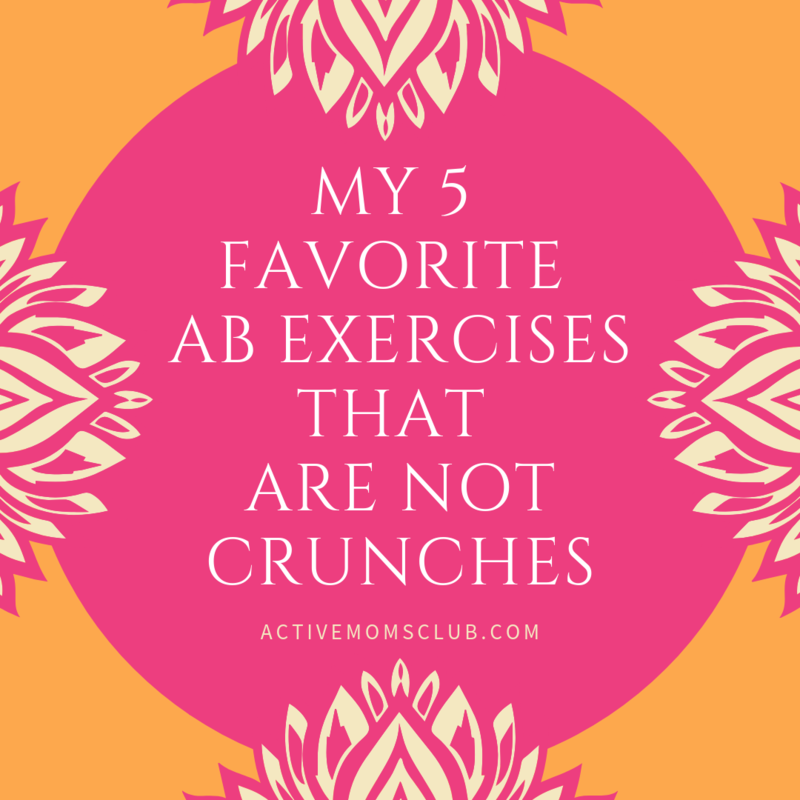 If you ever participated in one of AMC’s classes, you know that I don’t like the “crunch”. Most people don’t do them correctly. And by incorrectly, I mean ab muscles usually get pushed outward (instead of being drawn in by engaging deepest abdominal muscles), the neck is flexed forward with chin cranked into chest (rather than head aligned with spine). Oh, and the varieties…I’ll stop while I’m ahead. There are so many better ways to strengthen abdominal muscles —remember, we cannot spot reduce. There is no need to do 1000 crunches in your next workout session. Excessive reps = more harm than good. Strong abs are needed to support and stabilize the torso. Without a strong anterior chain, the posterior chain (i.e., back muscles) will take the grunt of the workload. Workload for us mamas means carrying kids, lifting Amazon Prime boxes, or hauling copious amount of Target bags into the house. We need to be functionally strong— especially after growing and birthing babies. Rather than crunch your way to neck pain, try these five exercises that we do in prenatal and postnatal small group training instead. Yep, they do require some weight…that’s how strength is achieved 😩. 1. Bear crawls: forward/backward/side-to-side, 10 each direction — maintain neutral spine, keep your knees close to the ground as possible. This ‘simple’ move requires lots of hip and shoulder mobility. Skip if you have sore wrists. 2. Side planks with 10 leg raises: modified or full side plank— stick with modified side plank if you have an abdominal wall separation. 3. Hoover & squeeze with 10 belly breaths: use towel, pillow, yoga block or child’s ball between KNEES— take a deep belly breath in through your nose, as you slowly exhale gently squeeze ball and engage lower abs. 4. Half-kneeling halos, 10 each direction: use a dumbbell or kettlebell to swivel around your head…like a halo. If using a kettlebell, hold bell upside down. Choose a weight (10-20 pounds) that is a decent challenge to complete. 5. Farmer’s carry: pick up two heavy objects (yep, this weight could be a stack of Target bags on one arm, baby in the other!). A carry is one of the most functional and core strength building exercises we can practice as moms! Walk tall, briskly, and for as long as you can while carrying weights. Each of these abdominal exercises tend to be safe for mamas with an normal abdominal wall separation AND expecting mamas. Because we are all different, check with your physical therapist or physician to verify they are appropriate for YOU. Be sure to check out video to see how each exercise is executed. Try one set or even just one of the five exercises— our motto at AMC, anything is better than nothing. Want more guidance, drop-in in for a prenatal or postnatal small group training session. A one-time test drive is just $25.